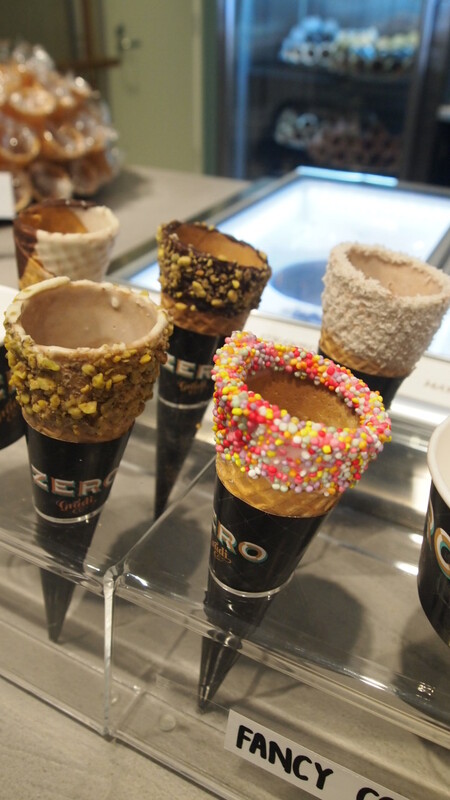 The newest venture from the team behind successful Italian/pizza restaurants 400 Gradi, is the aptly named Zero Gradi. 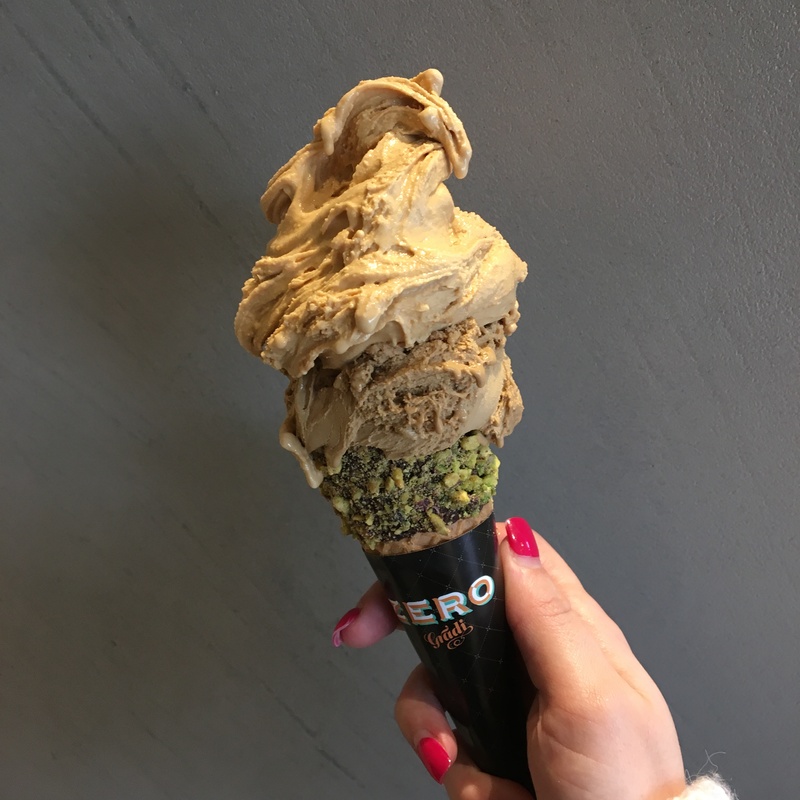 Located next door to their flagship Brunswick restaurant, Zero Gradi offers an array of classic and modern Gelato flavours, as well as an assortment of pastries for those after a sweet that isn’t of the frozen variety. 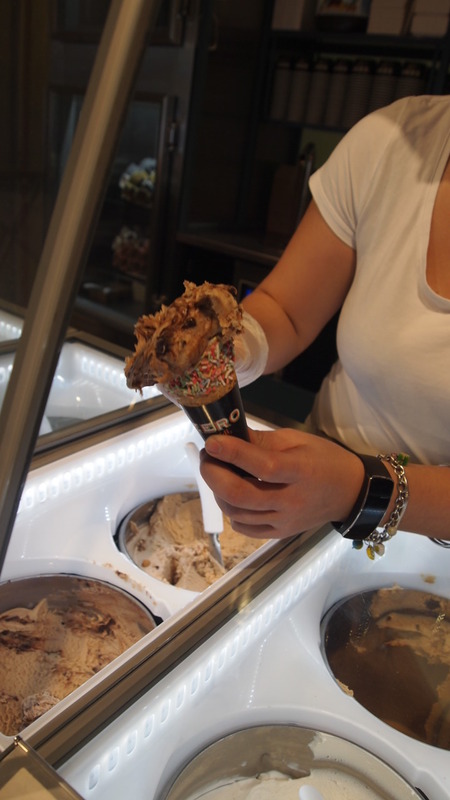 In the ever competitive gelato market, they have come up with a quality product that holds its own against others on offer, plus they have a couple of selling points that set them aside, namely their jazzed up wafer cones and Nutella drizzle. I visited on a cold Melbourne day purely to try their Gelato because why not! 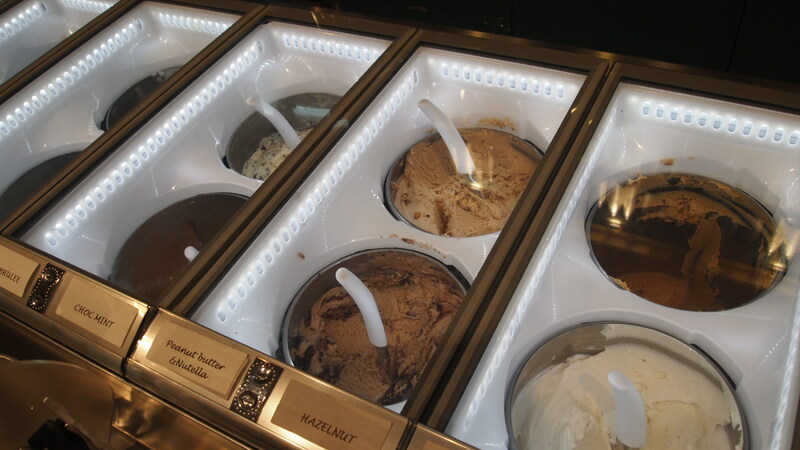 I am a Gelato addict, so the weather plays no part in when I decide to indulge in something of the frozen variety. I tried a few flavours but for me, the best was salted caramel which was rich, sweet and salty all at once. It is definitely one of the most balanced salted caramel Gelato’s I’ve ever tasted. For those that don’t like super sweet Gelato, try their coffee flavour. It was full flavoured and a bit bitter, which isn’t to my liking but others really enjoyed it. 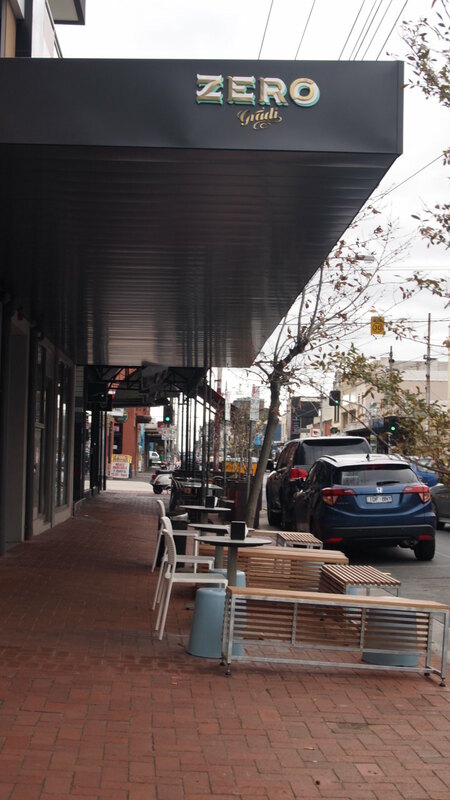 So if you’ve enjoyed a meal on Lygon Street and are looking for something sweet to follow it, give Zero Gradi a go.